I had to look again just to be sure. She had her right hand raised and beckoned to people milling around the station. One look at her left hand confirmed what initially raised my eyebrows – she had folded bills clipped between her fingers, the tell-tale sign that she was the jeepney’s conductor. This is just not the sort of thing you see everyday; albeit, this is the twenty-first century and there are not many things men normally used to do that women do not do these days. 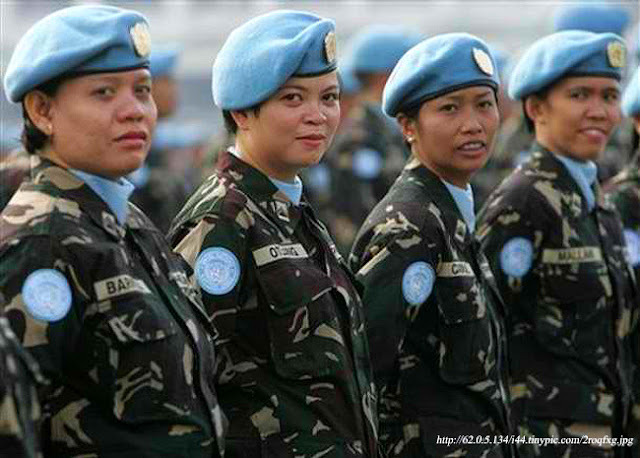 There are women in the Armed Forces, for instance. Yet, there continue to be certain jobs that will raise eyebrows if these are done by women. I remember as a young teacher in the early eighties, I once rode to school in a jeepney with a female driver. “Mamâ, bayad!” I called out as I handed my fare. “Suklî!” the driver called to me as she handed my change to the passenger behind the driver’s seat. The high-pitched voice made me look again. The driver had short hair cut barber’s style, conditioned with pomade and swept back neatly. The pomade-groomed hair and the hitch-pitched voice just did not connect. Curious, I examined the driver’s face through the rear view mirror. The facial lines and skin were smooth; and there were no signs of facial hair. I realized that the driver was a woman; albeit, I did not think kuya minded that I called her mamâ. I see one or two female jeepney drivers these days; but no more than that. Driving jeepneys is still – to this day and age – very much a male dominated profession. I do not think it is a women’s liberation issue at all. There are female drivers everywhere. It is driving jeepneys that women not only have stayed away from but feel no need to do just to prove a point. 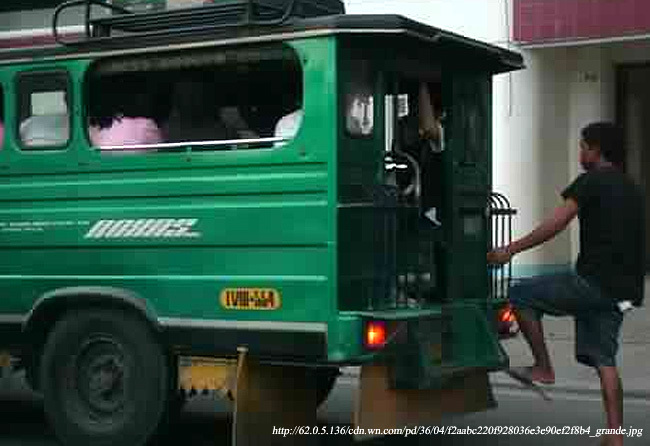 We know women can drive jeepneys; by and large, they just do not feel any need to. Not that women’s liberation ever was a real issue in this country; at least not in the same way it used to be in the West. When I was a high school student back in the seventies, we were occasionally asked to do reaction papers as routine writing exercises. Once, we were asked to review hit songs of the era. One of my classmates chose Helen Reddy’s number one hit and women’s liberation anthem “I Am Woman.” I remember our female English teacher, while processing my classmate’s reaction paper in front of class, telling all of us that she did not think that the women’s lib movement was very relevant to Filipino women, since they were very much liberated to begin with. Amen to that! I mean, when I was growing up, Dad was very much the Air Force Colonel at work; but at home, Mom was very much the Brigadier General. She was always without question the commanding officer, if you get my drift. I do not think Dad would turn in his grave for my saying this because this was, by and large, the order of things in many a Filipino household even in those days. Of course, young people of today will have absolutely no idea that – particularly in the West – women had to struggle just to win political and social rights and privileges that their men enjoyed as a matter of course. Hence, the movement called Women’s Lib, a.k.a. the burn-the-bra-movement. In this country – as my English teacher correctly pointed out – women have always done what they want to at least within the limits of what is deemed socially acceptable in a given era. To a certain extent – or, at least, within the environment I have lived in – this is because men naturally defer to women in many aspects of life. It is no accident of History that we have had – in this country – two female Presidents while the United States, who purportedly taught us this Western notion that is democracy, still has to elect its first. A former female colleague summed everything up, “Mabait ang lalake sa babae.” The Filipino man is good or nice to the Filipino woman. There is, I admit, the occasional household where the husband is a wife-beater; but that – or so I would like to think – is more the exception than the rule. To get back to the gist of the matter, female conductors and jeepney drivers are the sort who will still raise eyebrows. It is not so much that women cannot do these jobs; we all know they can. They either just stay away from these jobs as a matter of their own choice; or their men will not let them not because of a need to prove social superiority but rather to protect them from the perceived and real hazards of these professions.